About childhood chores, I remember mostly boredom--a million cherries pitted, a thousand apples picked, countless weeds pulled, endless Saturdays spent scrubbing the bathroom, vacuuming and--longest of all somehow--cleaning my own room. But then there was apple juice spilling from the spout of the press. The first drink--so rich it makes your teeth ache, yet it slides down your throat like perfect music. There was the realization that my classmates in college didn't know what to do in a kitchen, being known as "the techie one" because I knew how to turn on a vacuum or unplug a drain--even though in reality I'm rather technically challenged. Today there is that sense of wonder at a basket of food grown with my own hands, food that was just seeds a few months ago and the realizations that I had learned this as a toddler. Viral internet videos have made famous the 2014 Braun Research study which reports that only 28 percent of kids today do chores. People watch the cute pictures of three- and four-year-olds doing chores and cooking, and they gush about how important the skills and the theoretical sense of responsibility they gain is to those kids and to the world. In my generation, just a few decades ago, the digits were reversed. 82 percent of the parents of today did chores as children. We have those memories of aching boredom, frustration and watching the sun slowly march across the sky, stealing our play time on a glorious, sunny Saturday. My husband recalls his own childhood on a South Bohemian farm as one endless era of forced labor in the garden beds, weeding and picking. Sure, there are people out there who think parents who give kids chores are looking for cheap labor and they put negative comments on those chore videos. But I can pretty much guarantee that those people either aren't parents or they have never asked a kid to do a chore, because any parent who has knows the exponential amount of effort and work it takes to teach and persuade kids to do chores than it is to do it one's self. Even if the task is something kids want to do, like cooking a special treat, the amount of work parents do to "help" kids learn, do and clean up from the task is massive. But the Braun study found something else interesting. Even though only 28 percent of kids today do chores, 75 percent of parents believe chores would help their children learn skills and gain responsibility. So what is the problem in this generation? Parents believe it's good for kids to do chores but very few actually follow through. Why? Parents are busy and over-stressed. It really does take several times the time and effort to teach or even persuade a child to do a task than to do it one's self. We don't have kids do chores in order to get things done faster, at least not for several years and even with older kids the stress involved can outweigh any minor time savings. Kids are busy. There is a social expectation that good, responsible parents will provide their kids with at the very least a sport, a foreign language and a creative experience. That means that on top of school and homework, kids are racing between soccer, Spanish and ceramics classes. Some say parents then feel guilty about giving kids chores on top of all this. I contend that the 15-hour, kids-awake-time day is simply over. Guilt of no guilt. Attachment parenting is all the rage and forcing is unfashionable. Last but definitely not least. a myriad of books and media today tell us that it is the emotional development of children that is most important to their future success and survival and that the only way to ensure their emotional health is to defer to their pure and natural desires and ensure that harsh words never pass our lips. Discipline is supposed to be all about "natural consequences," even thought they don't tend to materialize in the insulated, safe worlds of our homes. That doesn't leave much room for persuading kids do do boring tasks that no one without a couple of decades of experience can see the value in. I am far from a perfect housekeeper, cook or gardener and not a day goes by when I find that I lack a skill that my mother tried to teach me. How do I make sure the meat is cooked all the way through? What cleaning tools or supplies might help in scraping and scrubbing some of those deep, dank corners? Why aren't my pumpkin plants sprouting this year? I do know the basics of gardening--soil, compost, seeds, water. It's simple right? Well, actually it isn't. After ten years of trying, I'm now just barely a decent gardener. 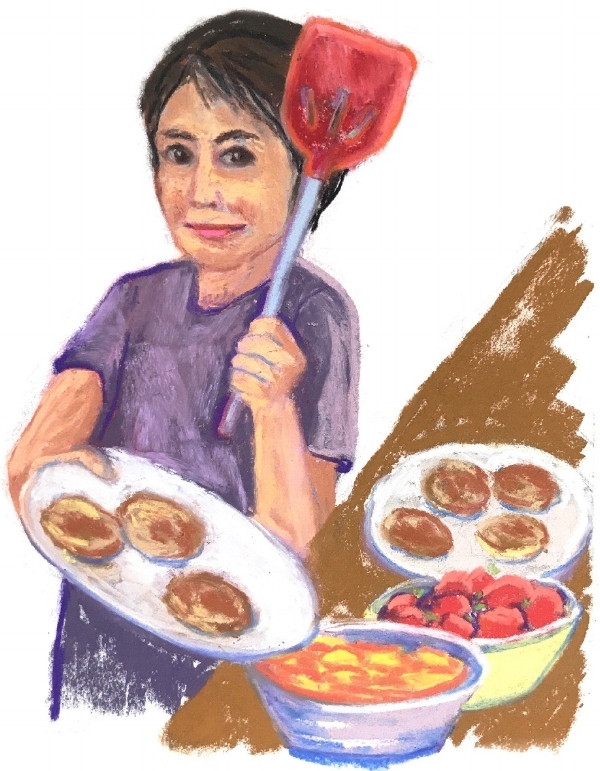 And when I remember my initial attempts to cook in college, having come from a mother who was famous for delicious and seemingly instantaneous meals, I laugh. I did know how to boil rice and fry eggs though, and watching young adults who don't have the slightest idea where to start with either task today is disturbing. More disturbing is looking at more studies on human behavior. One of the longest longitudinal studies ever conducted on humans, the Harvard Grant Study, found that the factor most closely linked to professional success was the length and early on-set of childhood chores, i.e. the more chores kids did and the younger they started, the more successful they are as adults today. It's an average, of course. There are a few kids who had it easy with no chores and were handed a high-paying job by their families and continue to manage not to screw it up. But most who didn't do chores, either don't make it to success or crash and burn if success is handed to them. And that study was done on the 82-percent-doing-chores generation, in which many of the 18 percent who didn't do any chores "failed to launch" and became the modern joke of "kids" over thirty who still live with their parents and can't seem to find their way. I'm not going to speculate about the generation with only 28 percent doing chores, because most disaster predictions turn out to be wrong. But yeah, it's disturbing. One of my kids has special needs that make dealing with chores much more difficult than it would be with the average kid. The younger sibling is seven and still needs a lot of help doing household tasks. I know the stresses and strains and doubt I'll live up to a perfect standard or teach my kids even as much as my mother taught me. But I'll try. Not just because I want my kids to be successful (or at least move out by the age of thirty). More important than that to me is the feeling I get from knowing how to do things that take care of my home and food. It's primal, I think. It is one of the most intoxicatingly empowering feelings, the sense of competence. The sun is inside me when I cook a great meal in record time or pull in the first garden harvest of the year or take a deep breath and look around at that brief moment when my house is clean before the kids demolish it again. It is very good to be self-reliant and competent. And kids get the same sense of that, even with smaller tasks. Of course, I didn't love chores as a kid, but I did love the feeling of the sun shining inside that came at the end. Just like he endorphins after exercise, it is a reward you don't know will come until you've done it often enough. When I write children's stories, my goals are to connect with kids through fun, suspense and things that make them feel good about themselves and their values. Our latest children's story, Shanna and the Goddess, goes right too that feeling of confidence and empowerment. In this illustrated, chapter book, a brother and sister named Shanna and Rye must take on significant. grown-up responsibilities when their single mother breaks her ankle. These modern-day kids start out eager to help, but soon they face hard work, callouses, conflicts and a destructive hail storm. They weather these troubles and receive much deserved rewards. Shanna and the Goddess is also a story of the modern-day celebration of the Summer Solstice, the day of the longest and most intense sun. The story reflects the natural power and expression of the height of summer through the story of growing maturity and the children discover the sun within as a personal source of empowerment. I would like to invite you to my hearth-side email circle where I share a weekly virtual cup of tea and links to my latest posts. To add to the fun, by joining my hearth-side email circle you earn your choice of a free ebook, either a thriller or a children’s book. This week I would like to take a back seat and put the spotlight on Julie Freel, the painter who has made the Children's Wheel of the Year books possible. You can see photographs of many of the illustrations from the Imbolc story titled Shanna and the Raven here. Children love the direct, emotive paintings that illustrate the scenes of these everyday adventure stories. The paintings bring alive the traditions of the earth-based holidays and without them the stories would be incomplete. It's time readers got to know the artist behind the illustrations. The best way to do this turned out to be in the form of an interview, so here it goes. 1. Julie, the first Shanna book is largely about intuition. How do you define intuition? I describe intuition as an internal knowing based on experiences and wisdom that you have gathered. And something beyond that which is unnameable. 2. What do you call the unnameable? 3. Is painting an intuitive craft or is it mostly learned skill for you? 4. What do you hope to give kids who look at your pictures in the Shanna books? A sense of connection to the characters and understanding of the story that leads them to a deeper connection with themselves, the earth and mystery. 5. What is the best part of painting illustrations? The only illustrations I feel inspired to paint are those which have meaning and depth for me. There is a magic in painting that occurs when these marks on a page suddenly pop into the experience you're trying to illustrate. 6. What is the hardest part? My technical deficits, reworking illustrations when the picture gets muddy instead of clear, leaping internal hurdles like self doubt and time management, so I sit down and do it. 7. What feeling do you have when you are in the midst of it? When it’s going well, it’s like being in love. When it’s not, I feel frustrated and hopeless. Best is when I get lost in painting, then it’s calm and meditative. 8. Is there anything interesting you can tell kids about the process of making illustrations? Illustrating a story you want to tell is most fun if you do it in your own way, without thinking about whether anyone else will like it or trying to do something that's really not you. In terms of working with someone else to illustrate a book, it helps me that my writer sketches her vision for scenes. 9. What was the most important part of learning to paint for you? Drawing was something I could do well enough to gain attention and validation. The first thing I remember that inspired me to paint was Van Gogh. His bold colors and brush strokes called me to express my own emotions through color and form. 10. What is the difference between painting a stand-alone painting and illustrating a book? The book provides structure and motivation to paint more often. It's nice to do both. Even stand alone paintings have to be something that really motivate and touch me in order to inspire me to paint. 11. Where did you learn painting and drawing? From watching other children draw as a child, from high school art teachers, college classes, occasional classes and workshops. 12. How do you keep learning? By painting with artist friends. As I child I grew up in Southwest Michigan and spent my adult life in rural Eastern Oregon, traveling often to the Czech Republic to see family. 14. Where do you live now? 15. What animals do you live with? Toby, my cat and Sami, my dog and various grandchildren. 16. What is something surprising about you? I am a child and family counselor and my work with disadvantaged children inspired me to write and illustrate the first (and perhaps only) therapeutic story for Romany children living in Czech orphanages. Thank you, Julie. If readers have further questions, you can post them in the comments and I'll do another interview post. You can find the Imbolc story Shanna and the Raven, Julie's first book illustrated with oil pastels here. A child adopted soon after birth cries bitterly for a sister and later it is discovered that a biological sister was born to her birth family. A four-year-old turns to his grandmother and says, "I'll never forget you, Grandma. Never ever." An timid little girl found her strength in the song "Jesus Loves the Little Children" at Sunday School, though she didn't really believe he was the one and only god. She then grew up to be a therapist for traumatized children. Children know things that don't make logical sense. There are so many things they don't know--like if you chew on that electrical cord it will eventually fray and zap you with electricity and if you throw your plastic toys across the room in a tantrum some of them will break and the others will be confiscated. But then they do know some incredible things. James Hillman, a prominent psychologist and author of The Soul's Code, wrote that children possess a form of intuition which seems almost miraculous and as we age we lose it, some faster than others but almost all inevitably. I am always the student in class with my hand up and an annoying question bursting out. If I were at a lecture by Hillman, my question would be, "Do we have to lose it? Isn't there some way to keep on knowing?" I have been fascinated by that question for years because I had predictive dreams as a child. I can't prove it to others, but I know that it wasn't my imagination. I knew. When I was nine I dreamed of the moon, big and full in the velvet dark. Then the moon rippled and shattered, breaking into two--one still round and whole and the other squashed and blurred. That was all but I jerked awake and sat up in bed, bathed in cold sweat. I immediately knew what the dream meant. I had lost one of the new contact lenses that my mother had bought with a huge portion of our family's meager subsistence income. I wasn't told exactly how much but I knew it was a lot. My vision impairment is such that I could see twice as much with contact lenses as I could with glasses, so I needed them badly. That was why the dream left me shaken and gasping for a few mements. I was relieved that I was in bed and the contacts were safe on the shelf beside me. Just a nightmare, I thought, and I went back to sleep. The next day I put in my contacts and went to school. I came home and immediately got out my sled and followed my brother to the sledding hill. We barely stopped for dinner. Then the moon rose and we went back out into the silver fairyland of a full-moon winter night. I straddled my sled at the top of the hill, tasting the cracking cold on my tongue and the ultra dry air in my nostrils. My brother let loose and slipped off down the hill into the dark. I dug my heels in and pushed. The sled scraped against the hard crust of snow and then I was flying. The cold air rushed past my face, ice crystals stinging so that I had to squint my eyes. The night was alive around me, the sound of sled runners, the shaddows of well-known trees, the star-studded sky and the moon hanging straight out in front of me. Coyotes called on the far ridge and I looked up at the moon, whooping with sheer joy. And then I saw it. The moon rippled... and then shattered, just as in the dream. A spark of fear jolted inside me. I had forgotten the dream until that instant and with the wind and spraying snow in my face and the speed of the sled, I could do nothing. Except cover my face with my mittens and slide to the bottom completely blind. My brother came when I called for help and I gingerly took lowered my hands from my face. My right eye felt wrong and the moon and everything else was completely blurred. He crouched down to look at my face and then at my mittened hands. And there, amid the snow and wool he found the tiny contact lens--worth more than all of our Christmas presents put together. On the eve of Imbolc, Ten-year-old Shanna and her seven-year-old brother Rye find protection and connection through the use of intuition and through a myterious raven, who turns out to be a friend. This is the story of a modern earth-centered family who follows the old gods and celebrates the wheel of the year. 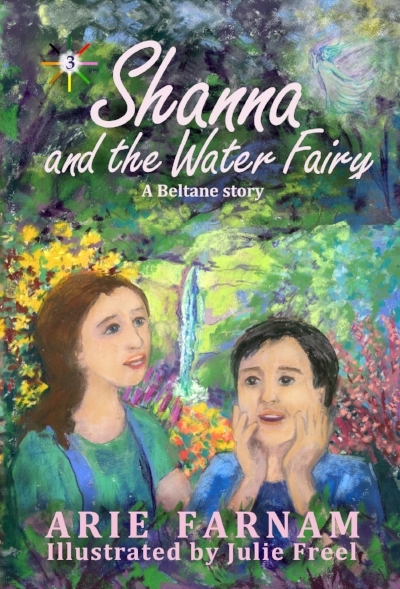 The Shanna stories give children in Pagan and goddess traditions a community and inspiration within lively adventures that kids can't get enough of. 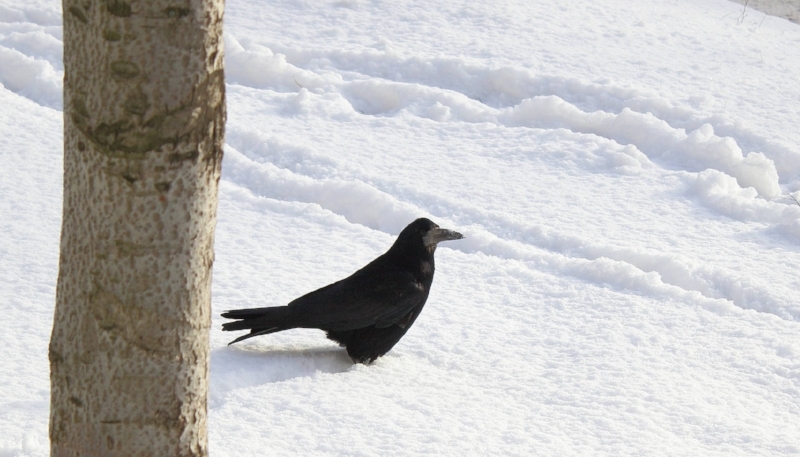 Check out Shanna and the Raven: An Imbolc Story on Amazon. That was the first prophetic dream I had but not the last. Several times during my childhood, I had other such dreams. I can't explain it but I am telling the simple truth. I dreamed it the night before each time I came close to losing a contact lens. My doctor always said it was incredible that I never lost a contact and never had an eye infection. It's unheard of among similar patients. When I first got contact lenses, I lived in a cabin without hot water or an indoor toilet. To say that money was tight would be a vast understatement, so it is good that my dreams helped out. I could wish my dreams had warned me about a few other things in life than just this, but mostly they didn't. Some children seem to be protected. Is it a guardian or is it intuition? And if it is intuition, what is intuition exactly? I have found some answers to these questions, answers which led me to a earth-centered, polytheistic Pagan path. But each person answers these questions in different ways and I doubt there is one absolute truth. There can be sign posts and maps however, help along the way. The book Shanna and the Raven is a piece of a map for both children an adults. It is a children's story of today's world, an example of how children use intuition in the real world--for protection and well-being. It is also a story of one family's celebration of Imbolc, a tale for earth-centered families that portrays seasonal celebrations as an integral part of life.